With amazing and beautiful interiors, Hala Residency is a breathtaking hotel that will make your stay amazing. The reception is beautiful with textured wallpaper, nice woodwork and pretty lamps and which gives you a warm welcome. The rooms are beautiful and charming with wooden ceiling, modern furniture and pretty tiles on the walls. These rooms are fully furnished with all essential amenities that are convenient for travelers. They are super clean, spacious and well-lit. 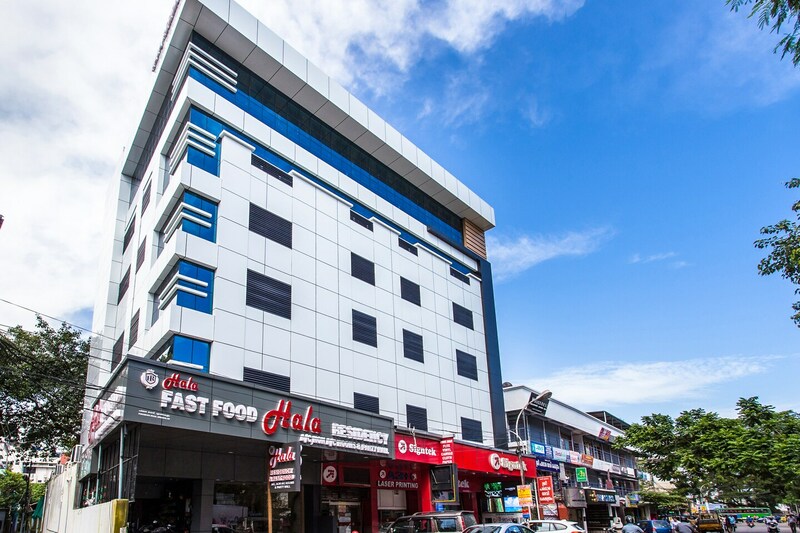 The hotel also provides many other facilities like parking facility, seating area and in-house restaurant where you can enjoy delicious meals without having to leave the hotel.